From the moment you arrive to the time you say goodbye, Warrambui’s friendly, qualified staff are able to facilitate each day and night with challenging and action-filled programs. 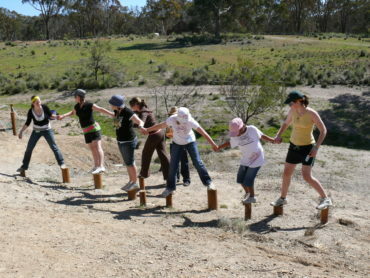 School camps at Warrambui are full of adventure, discovery and educational outcomes for students of all ages. With two different accommodation styles to choose from, full catering of delicious and nutritious meals, and numerous activities and supervised programs available for any weather, your school can be confident your stay will be a success. Warrambui is situated on 120 hectares of rolling hills, natural bushland and pine forest overlooking the Yass River Valley. Located 8 km from Murrumbateman and just 40 minutes from the centre of Canberra, Warrambui is the perfect destination for ACT schools and NSW regional schools looking for somewhere far enough away to feel like a destination but close enough to keep travel times and costs minimal. Once students arrive at our secluded bush block, they’ll feel like they’re a world away from school, but parents can feel assured they are within easy driving distance if there are any unanticipated issues. From archery to wool education, orienteering to campfire singing; our staff are trained to deliver a variety of programs throughout your stay. Teachers are also welcome to run their own programs onsite using our facilities and equipment such as projectors, whiteboards, sports equipment and outdoor spaces. Part of the excitement of a school camp has to be the ‘sleepover’ aspect. Our school-friendly accommodation options are tailored to help students (and teachers!) get a good night’s rest. All facilities have reverse cycle air-conditioning. Larger groups are able to book our entire site & utilise both the Dome and Village. Our catering team create hearty, nutritious and delicious meals and snacks to keep you fuelled for your entire stay. A rotating menu ensures variety and we cater to any special dietary requirements teachers or students may have. We can assist teachers by providing a program of activities, facility maps, risk assessment documentation, and other documents you may need. Our role is to meet your needs, so we are happy to meet with teachers and offer site tours as required. We understand just how excited and nervous students can be before camp, so our friendly and energetic staff can also come to your school and meet with students before they travel. A pre-camp visit helps students to become familiar with the faces they will see at camp, have a chance to view pictures of where they will be staying, as well as ask any of those burning questions about staying at Warrambui. This is particularly helpful with those students who struggle with change and the anxieties of going to a new place with new people. 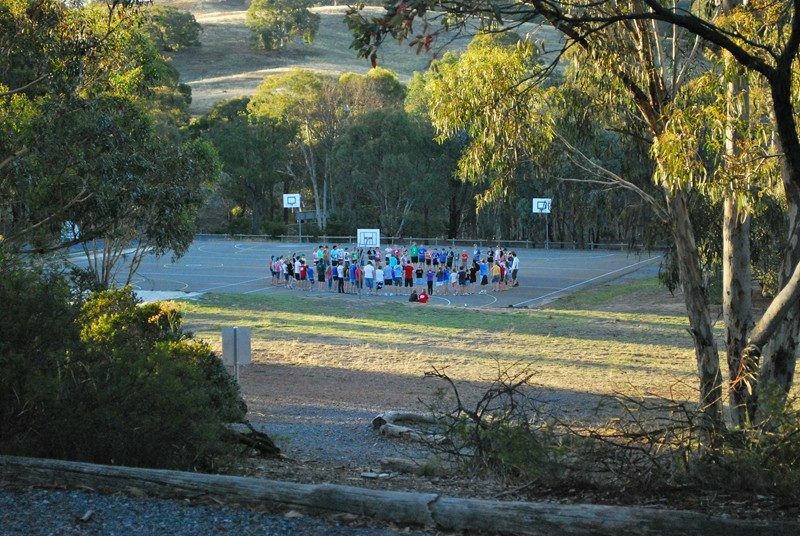 If you’d like further information about staying at Warrambui for your next school camp, please fill out an enquiry form or contact us directly by phone or email on 02 6220 1000 or bookings@warrambui.com.au.